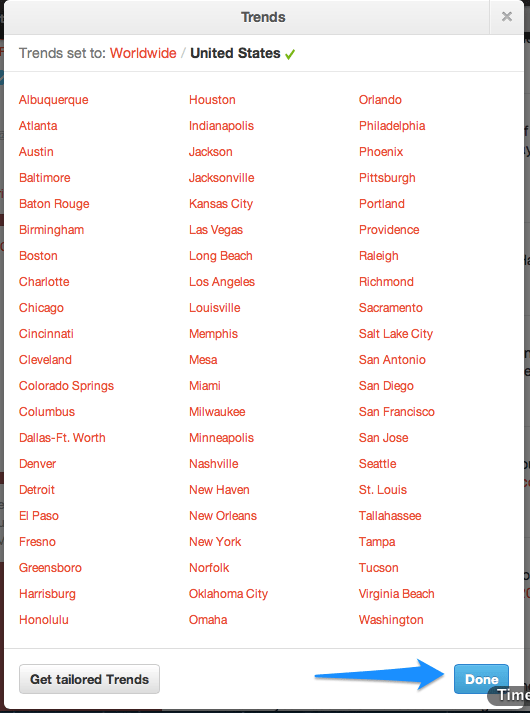 If your “trends” section on Twitter doesn’t have a location in front of it, e.g. “Worldwide Trends” or “United States Trends,” you’re not looking at trending topics; you’re looking at a distilled summary of what the people you follow are talking about. Twitter calls this feature “tailored trends” and it is the default setting. 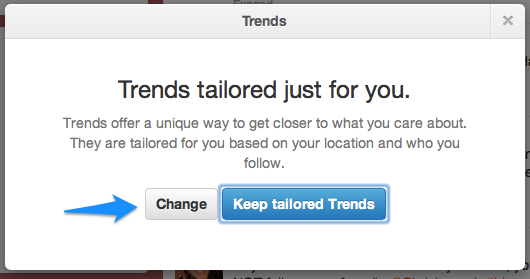 2) Click “Change” again to confirm that you would like to disable tailored trends. You have now disabled tailored trends and won’t find yourself tweeting about “trending topics” that aren’t actually trending.